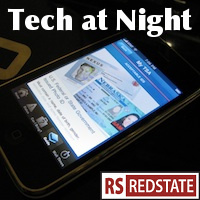 Tech at Night: The Return. Also, we still need to kill SOPA. I’m back. I ended up taking an extended Christmas break because well, I liked having a break, plus there wasn’t a whole lot going on anyway. But, back to work! Lamar Smith and Chris Dodd still want to censor the Internet, by pushing the SOPA bill that we need to defeat. Why is it bad? Victims get no due process, ISPs have the burden of proof if government makes economically or technically unreasonable demands on them, and of course the largest reason of all is that it amounts to censoring the Internet without actually stopping foreign infringers of American copyrights. Let’s make sure to watch the SOPA sponsor list. They must be primary targets this cycle if they don’t turn. I don’t care who they are. Marsha Blackburn is one of my favorite members, but Erick Erickson is right to call her out. This is a bad bill, a terrible bill. Yes, the foreign leeches are annoying, but the problem is that SOPA doesn’t actually stop them. It attempts (poorly) to censor what Americans can see online. It doesn’t protect American property rights, but instead threatens them in an ostrich-like attempt to hide us from the rest of the world. Activists are already at work. There’s also an alternative to SOPA that actually will work. The OPEN act promoted by Darrell Issa and Ron Wyden would use proven techniques for stopping foreign infringers; Apple uses it already against patent infringement. The ITC exists for a reason. But, Chris Dodd’s MPAA and now the RIAA are demanding SOPA, not OPEN. They don’t care if the Internet is open; they think if they shut down the Internet in America that you’ll buy more CDs and DVDs. They want government to pick winners and losers, not just protect rights. OPEN protects rights. SOPA pits one industry against all others. Kill the bill. Primary the offenders. For those of us thinking of focusing on races other than the Presidential race, that’d be a great project to work on. I’m glad FCC censorship has its limits at least. Cable TV can show respected works without worry. PATENT WARS: The great, peace-loving Soviet Google buys more patents in bulk, though the firm continues to insist it uses patents only defensively. Meanwhile Some make the case that Apple should fight Android less and instead offer up patent licenses, to cash in on Android the way Microsoft does. Imagine if we ended the arbitrary scarcity of top level domains (think of .com, .net, .us, .ly, etc.). ICANN wants to expand our choices, but some in government want to hinder and slow down the process. I’m torn. On one hand it’s an obvious cash grab on the part of ICANN and the registrars, as they know deep-pocketed big businesses will buy up many more domains to try to protect their expensive brands. On the other hand, for the rest of us, the expanded choices will reduce costs. So in this case, self-interest on the part of registrars seems to benefit the public. The invisible hand moves. Some people give lawyers a bad name. Righthaven was one of those firms, trolling around the internet making suing people a business model. Moe Lane says they’re getting “force choked,” and I’m not about to cry about it, despite being a strong proponent of copyright. Online terror group Anonymous won’t quit. Like any other crime syndicate, they make threats against innocents at will, and make attacks that harm bystanders. Even when they try to do “good,” by attacking members of the fringe, fascist, racist, literally Nazi-loving political party in Germany, the Nationalist Party of Germany or the NPD*, they mess up badly. By breaking the law, they’re making the Nazis out to be victims, which is counterproductive.